Lightweight, strong, rust resistant aluminum frames and thick woven wicker add a more comfortable experience. Relax in style and sophistication, and enjoy the outdoors with the Beacon Park Stationary Lounge Chair. A sturdy, rust-resistant frame supports intricately woven, rich brown wicker, and features a plush olefin seat cushion and back cushion. Wide, curved armrests ensure maximum comfort you won't want to give up. Use as a standalone piece, or include other Beacon Park furniture elements to create a complete look. 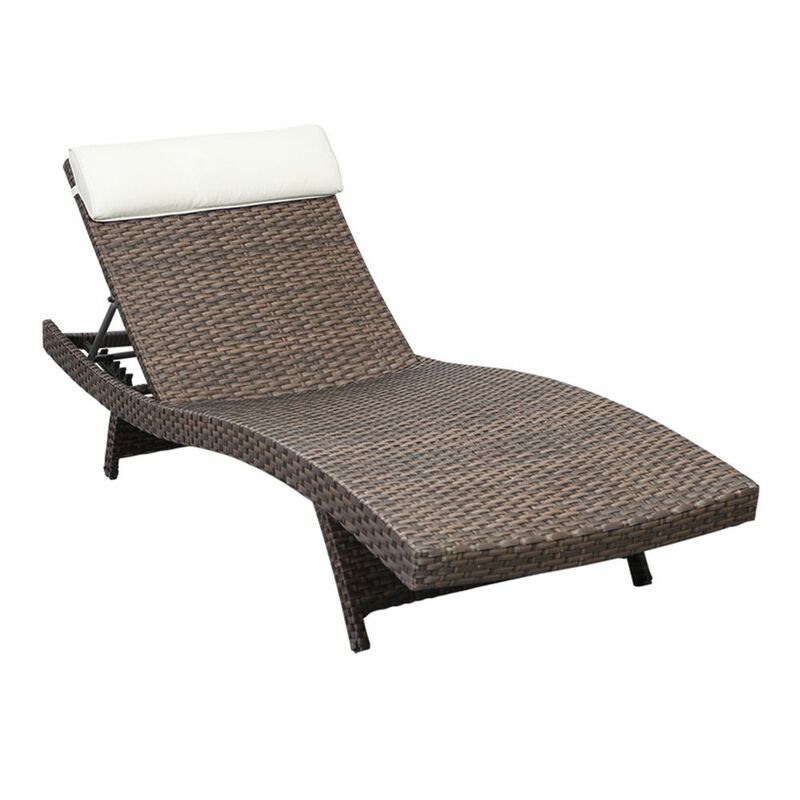 Florida Deluxe Brown All-Weather Wicker Patio Chaise Lounge with Off-White Cushion (2-Set) The Atlantic Collection is the perfect match for any home. All of these sets are hand crafted from high quality resin wicker with rust-free aluminum frames and are held together with galvanized steel hardware. With our great workmanship and strong materials, we ensure sturdiness and longevity for this elegant collection. We use Durawood which is an environmentally friendly material that is built to last a lifetime.